When there is a storm on the horizon and an organization is facing stiff competition or a heavy loss, it’s time to prove your point effectively across the company employees. 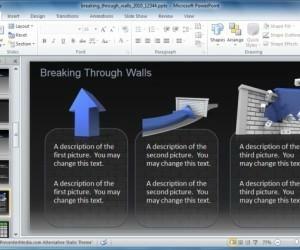 The same can also be said for presentations where one may require emphasizing on the severity of a situation which needs to be dealt with. 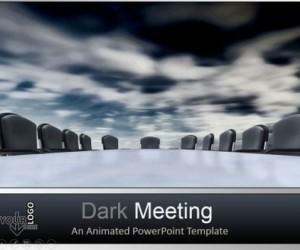 The Dark Stormy Clouds PowerPoint Template can help you make such a presentation with the help of a storm animation, eye-catching slides and more. 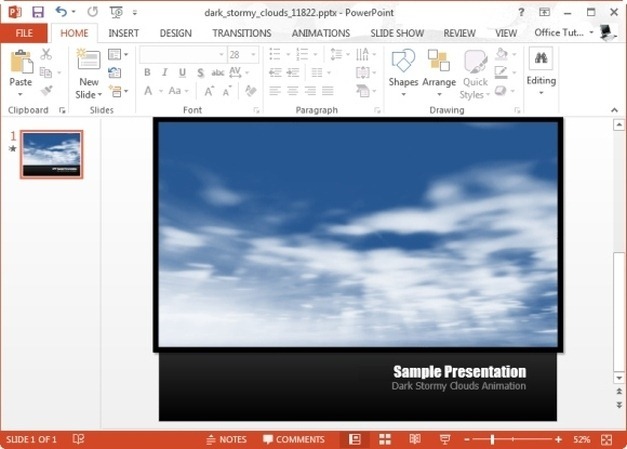 This PowerPoint Template provides a video slide with an animation of stormy clouds. 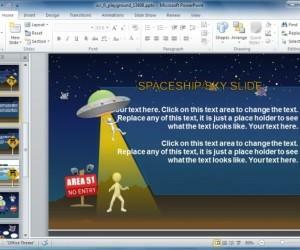 You can customize this slide with a title, sub-title and a custom image, such as a company logo. 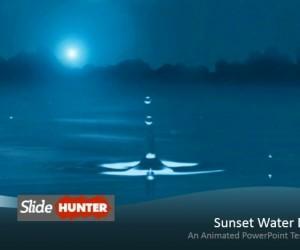 This animation can also be edited and customized right down to the colors of the video animation by using PowerPoint Video Tools. 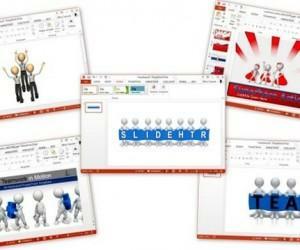 The wide range of features within PowerPoint Video Tools make it quite easy to edit this video animation. 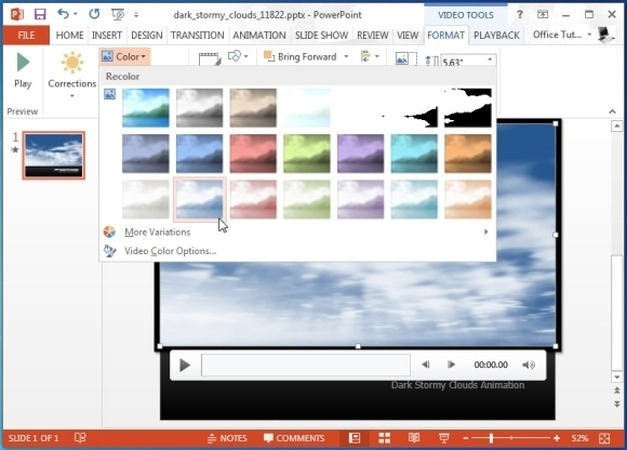 The below screenshot demonstrates how you can use the Color feature in PowerPoint Video Tools to change the look of this video animation. 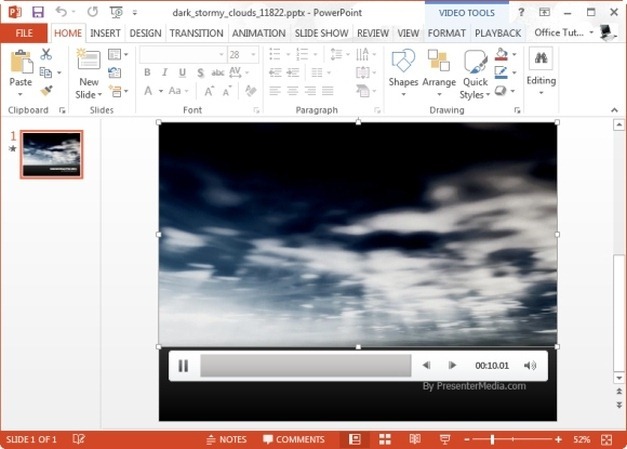 Similarly, you can adjust the duration, add a frame, crop and perform other tweaks to your video. 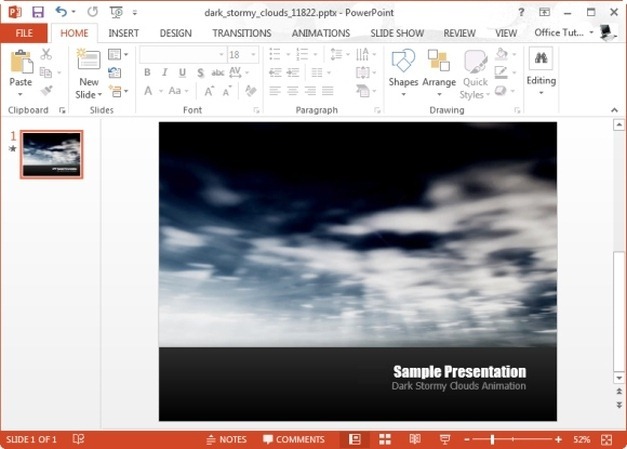 This can help you set the right mood for your video and even to create a presentation with multiple slides with the stormy cloud animation, where each slide might set the tone for your next topic; e.g. 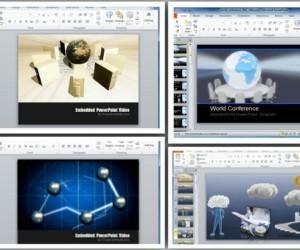 a darker color for more serious sub-topics and a brighter color for topics depicting hope.